Using only organic plant matter & naturally occurring minerals, you will gain knowledge and experiment with the time honored art of natural dyeing. 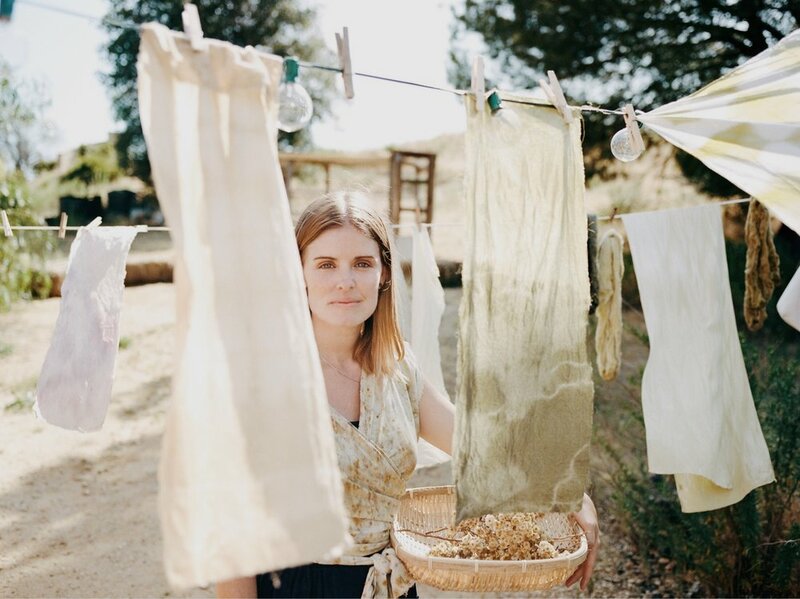 In this workshop, participants will work with professional natural dyer Liz Spencer of The Dogwood Dyer to understand the possibilities of natural dyeing with medicinal plants. Dyeing your most commonly worn garments and bed linens with nature's medicinal plants is one way to surround yourself with the healing powers of plants. You will come away with an understanding of how to work with natural colors to achieve the most vibrant and long lasting results while learning about traditional as well as modern surface design techniques. To interact with these plants further, Meghan of Wild Mesa will help you concoct a custom healing tincture to go home with. No prior knowledge of textiles, dyes, or plants is required. This project is for anyone looking to create and experiment with beautiful healing colors and plants while doing no harm to the planet, your home and your body. Participants will leave with a color selection of natural textiles, home made tinctures, as well as informational resources on how to repeat the process at home. Guests are also welcome to bring small to medium sized garments or textile items to dye at the workshop. Items that may be stained are great to bring to mask old stains and to breathe new healing and colorful life into.